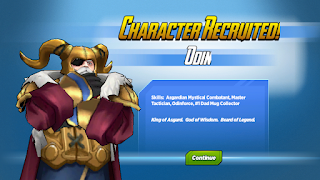 Odin is a new character who you could recruit during the Legends Assemble! Special Event 2017. Odin: Let us spend the day together, Loki! Odin: Because I want to spend some quality time with my son! Or daughter! Or whatever you choose to be at the moment! It'll be fun! Odin: My godly cannonball game remains on point! 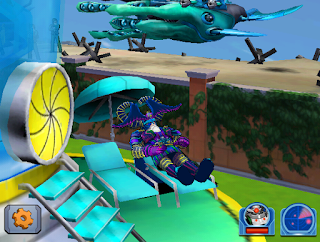 Odin: I'm like the Asgardian Poseidon! Odin: What's more fun than battle?! Odin: I can't wait to see if you can hurt me! Odin: I always say go big or go to Muspelheim! Odin: All of this fun hath worn me out, Loki. I must recharge with the daily Odinnap. Loki: Have you ever considered that if you were in better shape, you may not get so tired? Loki: Did you have a good nap? Odin: I feel like a billion suns! Loki: I have no had a horrible time today. We will always be at odds, but you will always be my father. Odin: I forbid you to make your All-Father cry, Loki. Thor: Father! I have not seen you this happy since Volstagg invented boneless short ribs! Odin: Life is good, my son. My family is reunited. Asgard is safe. I'm getting along with Loki. What could possibly go wrong? Odin: I should have know. Has King Laufey rallied the Giants of Jotunheim? Has Rimthursar returned? Are Kryllik and his trolls readying for revenge? Angela: The one called Pepper claims that I'm no longer allowed to store giant monster heads in the dorm. Angela: No, it's not as bad as when you allowed the Queen of Angels to kidnap me as a baby. 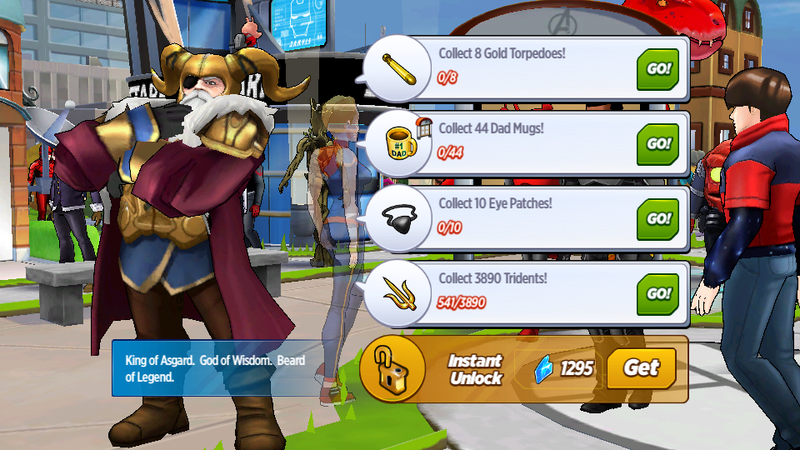 Odin: Low blow, daughter. Low blow. Odin: Yes, Sif. I'm aware that you're no longer allowed to keep giant monster heads in your dorm. Just store them in New Jersey. Sif: It's not that. Although that was a tremendous bummer. Loki: When you and your cabal of crazed faculty members changed things! It's been long enough! Tell us what you did! Loki: To ignore it risks our lives! Odin: I need you to find out who is quickening the Ragnarok Cycle timeline, and what they hope to gain. Odin: Because you're the most devious liar I know. Loki: Thank you, father. That means a lot coming from you. Odin: Have you discovered anything about the villain behind the advanced Ragnarok Cycle? Odin: What do you know of someone tampering with the Ragnarok Cycle? Angela: I know that someone has been trying to speed up the cycle in hopes of watching the gods of Asgard die. Odin: Why didn't you tell me that you've been meddling in the realm of Hel? Odin: We're family, Angela. I'm your All-Father. Odin: Hela is a difficult and powerful goddess. Hel is the most complicated of realms. But why would the queen of Hel want to bring the end of Ragnarok? Angela: We're going to travel to Hel to wage war against its queen? Odin: It's better if we can draw her to another realm. As I said, Hel is complicated. Angela: And you will help rescue Sera? Odin: I will offer to spare Hela's life in exchange for your girlfriend's release. Angela: What if she refuses? Loki: This attack on Hel is a trap. Odin: How do you know? Odin: I've been unable to draw Hela from her realm, so we will travel to Hel to face her forces. If she wants war, she will have it. If she wants death, we will pile the bodies from Hel to Heven. Loki: She's family, isn't she? 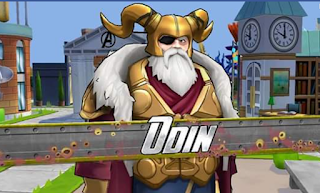 Odin: Hela? Is that why you let her escape? What do you think of Odin? Were you able to recruit him?